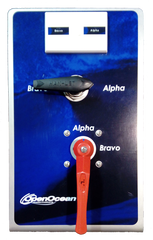 Can we add an optional engine drive pump to our existing 240 Volt AC system? The retrofit was quite straight-forward. We found a convenient location for the switching valves, and fabricated a custom bracket to fit the boat. 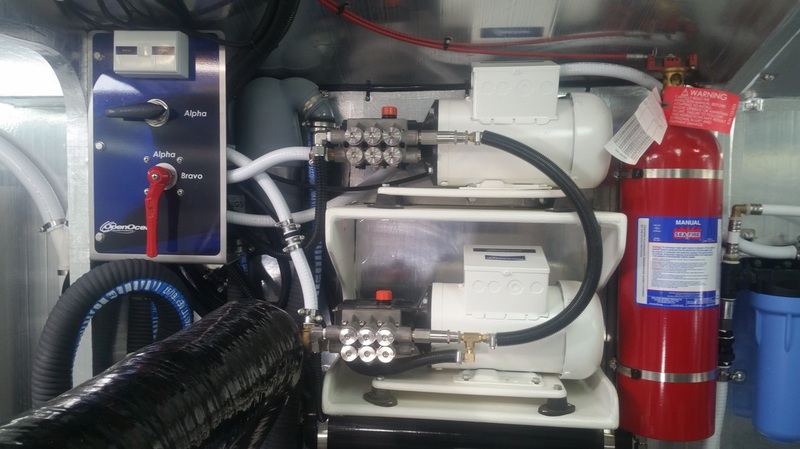 We consolidated and upgraded the dual alternator charging system with a single high output alternator and external regulator, then used the second alternator space to mount the engine drive pump. We all motor more than we would like. The dual system is a great way to take advantage of the mechanical energy you are expending, while motoring, and still be able to keep your tanks topped up when you spend a few days at anchor. Arrive at your anchorage with full tanks, due to the Engine Drive part of the watermaker, and keep them full with your generator, for as long as you want to stay in one place. The best of both worlds. Our systems are manually operated, and mechanically regulated. They are very simple and easy to understand. We have also set them up to be easy to operate. You will have all the benefits of a simple, mechanical system, as well as the ease of operation that you would find with a complicated electronics driven system. We have had a request for a dual high pressure pump system. This one for 2 AC pumps on a system for a flash new luxury launch. For the system that has everything, this one features a pair of our high output membranes and a switching panel fitted between the two high pressure pumps. 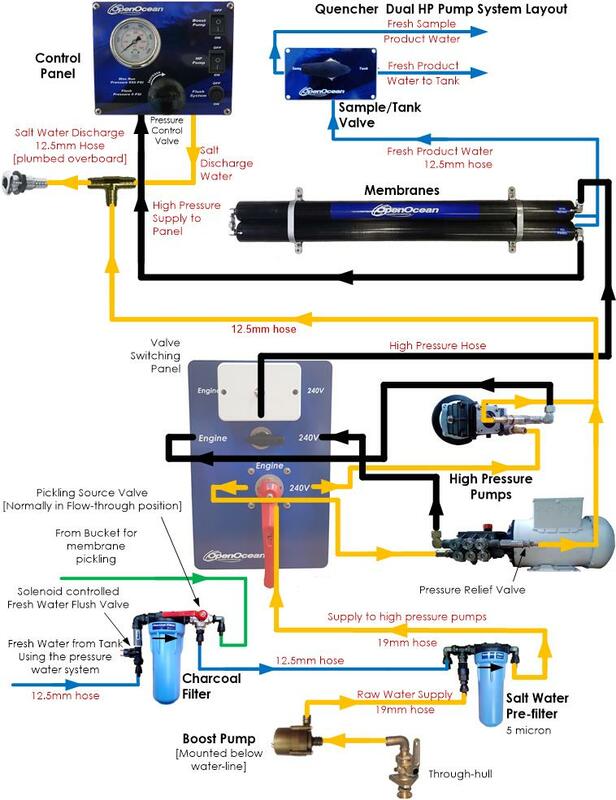 Before starting the system, the source water, high pressure, and electrical power are switched to the selected pump, and the system is started up like normal. 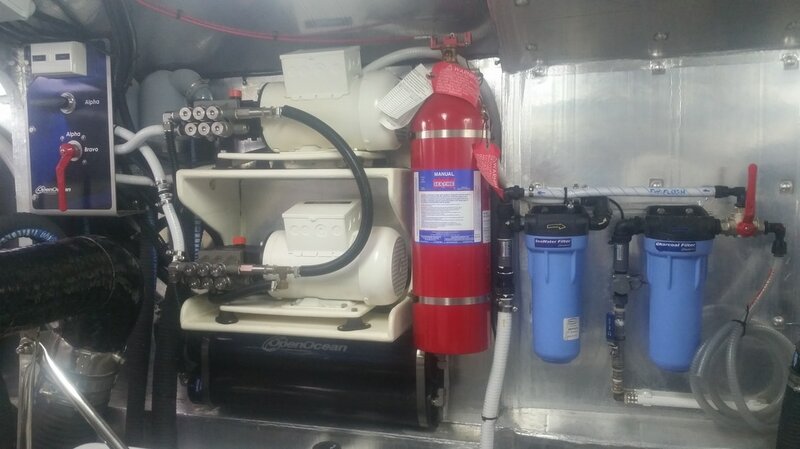 Some customization was done with the plumbing on the filters for fit and to be consistent with the rest of the boat's plumbing. Every installation is unique. Part of the reason we use pipe-thread fittings is that they can easily be reconfigured to meet the needs of the installation.